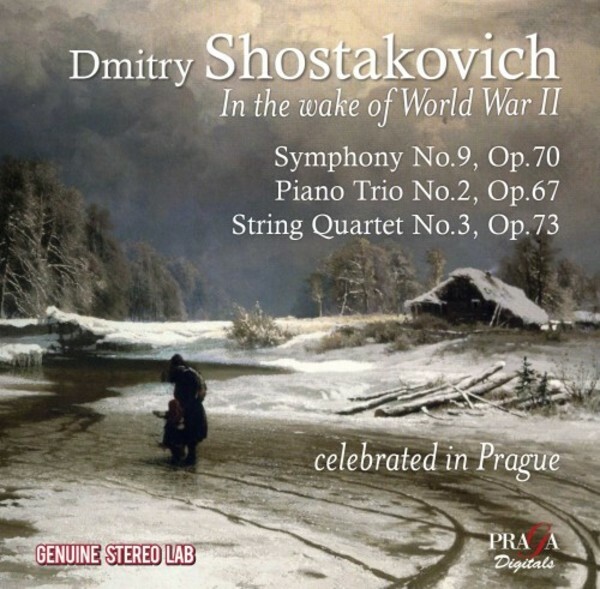 In the spring of 1945 the intelligentsia in Russia and the rest of the world expected Shostakovich’s Ninth Symphony to glorify Stalin’s victory with a hymn worthy of Beethoven’s. What emerged was a symphonic scherzo, more Rossini-like than majestic, except for the solemn brass call of the Largo. The symphony was preceded by a Piano Trio in memory of the great polyglot and intellectual Ivan Sollertinsky, who had lost favour with the Kremlin. It was followed by the String Quartet No.3, his awesome last diatribe against vice and violence, transcending his Eighth Symphony’s unavowed strains of imposition.